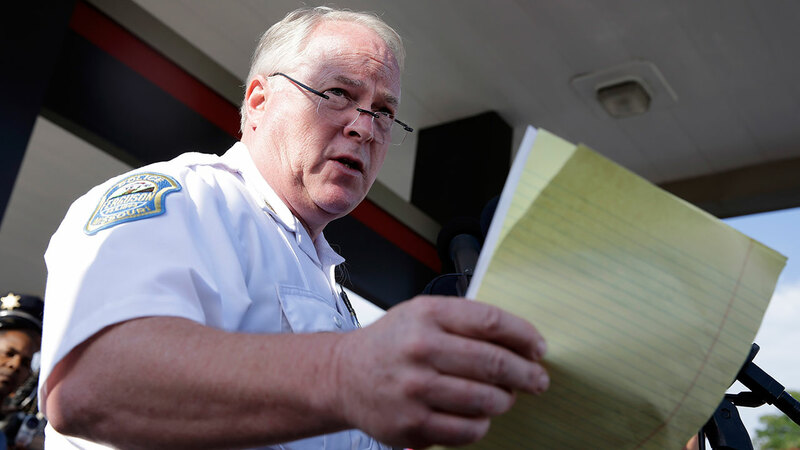 FERGUSON, MO -- The police chief in the St. Louis suburb of Ferguson resigned Wednesday in the wake of a scathing Justice Department report prompted by the fatal shooting of an unarmed black 18-year-old by a white police officer. Text and phone messages were left with Mayor James Knowles III and Jackson, who submitted a four-sentence letter in which he said he was announcing his resignation with profound sadness. He told the St. Louis Post-Dispatch that he felt it was time for the city to move on. Justice Department officials had previously said that they were willing to work with whatever leadership the police department had. A U.S. law enforcement official said Wednesday that the Justice Department had not pressured or encouraged Jackson to resign during meetings with him but had also not resisted the idea. The official spoke on condition of anonymity because of the ongoing meetings between the Justice Department and the police department. The resignation was welcomed by state lawmakers who represent Ferguson.